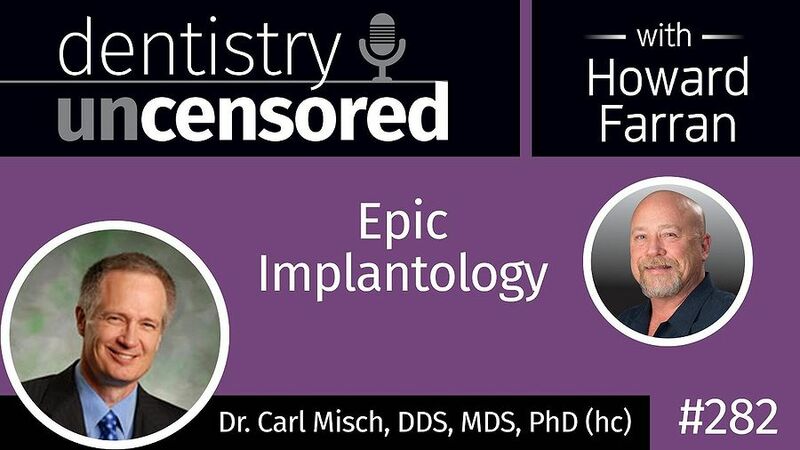 Learn implantology from the legend, Dr. Carl Misch, in this epic, two and a half hour long podcast. 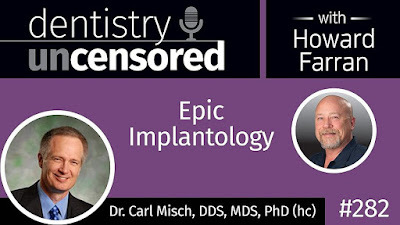 Dr. Carl E. Misch is “Clinical Professor in the Department of Periodontology and Oral Implantology, and Director of Oral Implantolgy (hon) in the School of Dentistry, Temple University, Philadelphia, PA, USA. Dr. Misch serves on the Board of Trustees at the University of Detroit Mercy where he is also an Adjunct Professor in the Department of Prosthodontics. He is Adjunct Professor at the University of Michigan, School of Dentistry in the Department of Periodontics/Geriatrics and Adjunct Professor at the School of Engineering in the Department of Biomechanics, at the University of Alabama at Birmingham. He was the Director of the Oral Implantology Residency Program at the University of Pittsburgh School of Dental Medicine from 1989 to 1996. Dr. Misch has maintained a private practice restricted to implant surgery (bone grafting and implant placement) and related prosthetics for more than 30 years. He previously practiced Beverly Hills, Michigan.